When there’s something strange in your neighborhood, do you wonder who you’re going to call? If you already know the answer, then we’ve got the perfect phone case for you. 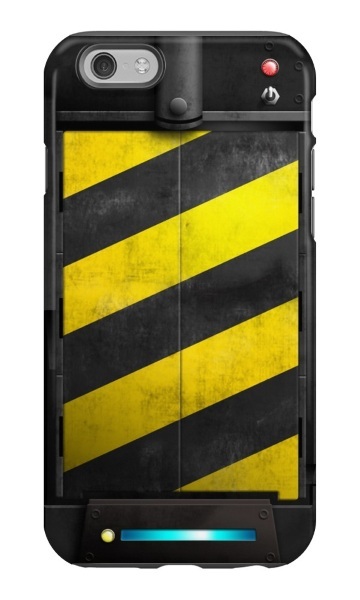 The Ghostbusters inspired Ghost Trap Phone Case is the prefect case to protect your device from ectoplasma. The Ghost Trap Phone Case is modeled after the traps that the Ghostbusters used to capture ghosts and safely transport them so they can be sent back to the Ghost Zone where they can do no harm. The original is operated by a pedal but even if you step on your phone and manage to open it, the results probably won’t be what you’re looking for. This case comes in three different types. Snap, tough, and skin. So depending on your lifestyle there’s sure to be one in there to fit your ghost hunting needs. It’s available for both the iPhone and the Samsung Galaxy series. The different cases come in at different price points. However, the tough case for the Galaxy is $35.40 while the same case for the iPhone is $31.25.